From Ouya’s and Digg’s “record” price tags to The Daily’s somewhat deceptive numbers, here’s what you should take away from this week in media. The most impressive funding news this week didn’t come from a well-known VC firm, but from the crowdfunding platform Kickstarter. 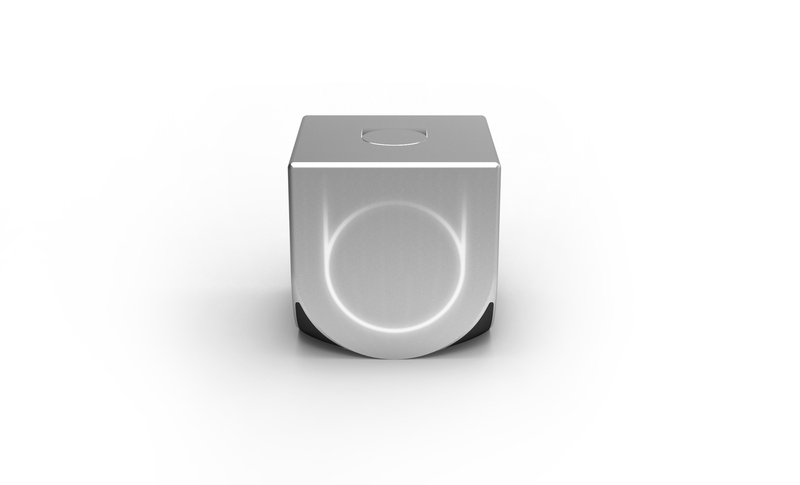 As we reported, the $99 gaming console Ouya landed on Kickstarter last Tuesday with an ambitious goal: reach nearly $1 million to bring its open device to the market and disrupt the industry. Yet, it only took it 8 hours to reach the million milestone, a new record for Kickstarter. Fast forward a few hours and it had already passed the $2 million barrier. As we write, it has already raised almost $5 million. While this still doesn’t warrant its success, it is still a considerable achievement – not only for Ouya, but also for crowdfunding itself. As a matter of fact, crowdfunding confirmed its potential to change the media industry and its traditional business models; earlier this week, cult webcomic platform Penny Arcade launched a Kickstarter campaign to raise the money it needs to go ad-free for one year. Having reached its minimum goal to get rid of its homepage’s leaderboard ad, it is now calling for supporters to help it finance its stretch goals – doing away with other banners, and hopefully finance other creative projects. While this acquisition doesn’t come as a surprise after Digg’s tech team joined the Washington Post, its price tag is still a shock, and opened speculations on who’s to blame. Is Digg itself the sole culprit, for losing its users with ill-thought changes and redesigns? Or did social media simply grow up, as Digg’s founder Kevin Rose suggests? The jury is still out, but one thing is for sure: the way we discover content online has changed. Controversial TV startup Aereo won an important victory in court this Wednesday, as the judge denied the injunction that big-media plaintiffs were asking for, which means Aereo won’t be suspended yet. While we all know this is only the first round, it is an interesting time to stop and think about what a full Aereo victory could mean for the TV industry and its players. As we reported, Aereo provides its users with a tiny antenna that lets them watch broadcast TV on non-TV devices, such as the iPad. While it plans to charge $12/month for its service, it currently offers a free trial that is only available in the New York area, though its billionaire backer Barry Diller announced that it will operate in most US major cities by 2013. As you can imagine, Aereo’s model is a source of concern for the traditional TV industry, and most precisely for broadcasters. If it were to win in court, Aereo could open the door to other threats, as pay-TV providers could consider they don’t have to pay retransmission fees to broadcasters, Peter Kafka points out in AllThingsD. As he notes, this means that broadcasters have the most to lose in this battle. In this context, Aereo’s own chances of success are only a small part of the issue. Yet, this is the topic on which Farhad Manjoo decided to focus in a post, provocatively titled ‘Don’t root for Aereo, the world’s most ridiculous start-up.’ While Manjoo argued that Aereo is pointless on the ground that free TV should be free, several commenters disagreed. For instance, Zach Steward noted in his ‘Cord Cutter’s Diary‘ that Aereo’s attempt to deliver media in new ways can add value for users. Earlier this week, Variety revealed that Hulu closed a deal for its original webseries “Spoilers with Kevin Smith” to air on Canadian TV. As we pointed out, this is the first time that Hulu’s own content has landed on TV – an interesting twist in the industry’s usual distribution cycle, in which content would first air on TV before becoming available for online streaming. While it is interesting to see online content move into cable TV, even in a different country, it is important to keep in mind that this case is quite specific. As a matter of fact, Hulu has much more control on the rights to its original programming than on the movies and series it licenses from Hollywood and other third parties. In other words, the segment it is disrupting is still fairly small – for now. Earlier this week, we learned in a study by Reuters Institute for the Study of Journalism that young tablet owners are the most likely to be willing to pay for news. This could be good news for Rupert Murdoch’s iPad-only paid newspaper The Daily, which is pushing back on criticism that its business model isn’t viable. No later than last Friday, its editor-in-chief announced in a letter to its staff that The Daily now has “100,000 paying subs who are renewing their subscriptions at a 98% rate.” In addition, he announced the launch of an in-app weekend magazine, appropriately called WKND. Yet, these numbers only tell one side of the story, which led us to do our own math and conclude that 100,000 subscribers may be far from enough to keep The Daily afloat. Based on the estimates of our editor Alex Wilhelm, The Daily may be currently losing $30 million a year – and it remains to be seen how long News Corp and its shareholders will be willing to wait for profits to flow. Starting next week, we will also be keeping an eye on earning calls, from Yahoo and Google to Microsoft and Netflix – once again, chances are we will learn some interesting lessons for the media industry.